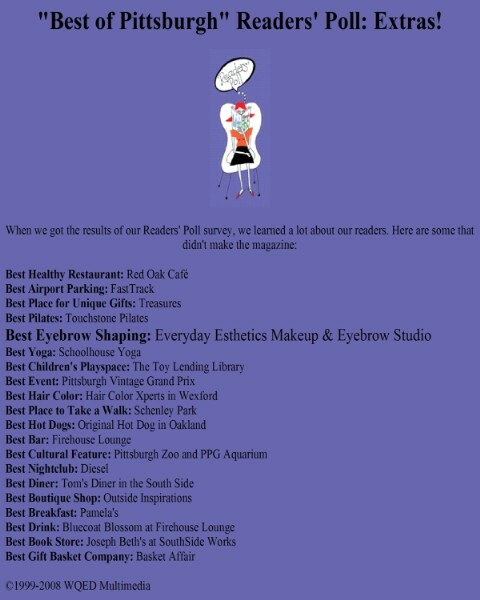 Best Eyebrow Shaping: Pamela Jeschonek, better known as Pittsburgh's "brow diva," doesn't simply wax eyebrows at her shop, Everyday Esthetics Makeup and Eyebrow Studio in Ambridge. In her own words, she performs "a subtle, artistic reshaping of your face, taking into account your bone structure, facial shape, feature size and overall facial symmetry." Jeschonek waxes and tweezes brows to arched perfection - the initial "design consultation" ($40) takes a full hour, and subsequent "maintenance" visits run $25 each. 1400 Church St., Ambridge; 412/716-4825, everydayesthetics.com. - M.R. 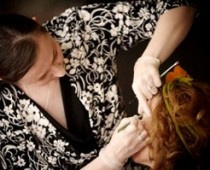 Pamela Jeschonek, a licensed esthetician who owns Everyday Esthetics Eyebrow Studio in Ambridge's historic district, began specializing in brows six years ago — “when the eyebrow craze caught fire,” she says — and claims to have a two-year waiting list of prospective clients. 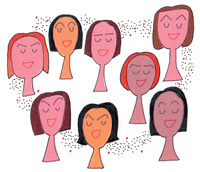 She charges $95 for an initial consultation that includes makeover and lesson, and $50 for each maintenance session. Take-home products are extra. Pamela Jeschonek is in the business of raising eyebrows. But in Pittsburgh, it's a business that hasn't quite taken off. At least, not yet. "It's part technical prowess, and it's part art," she said. "I'm an artist with a tweezer." 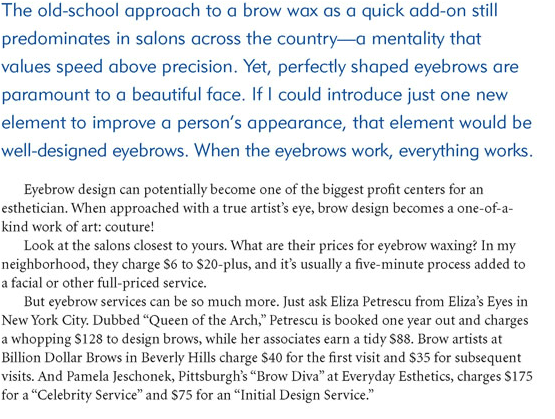 She is an artist with the tweezer...a Michaelangelo of eyebrows, with a waiting list of over 300 people, and winner of Pittsburgh Magazine's best brow design. While getting an appointment with Pittsburgh's brow guru, Pamela Jeschonek, may not be easy, it is well worth the wait. I recently had the opportunity to sit down with the Pamela, the owner of Everyday Esthetics, in Ambridge, Pa. and discuss the importance of eyebrow design. The first thing she did was assess my overly plucked brows and offer some excellent advice, then she whipped out her Damone Roberts tweezers and quickly began to sculpt an shape my brows into a whole new look. After my incredible transformation, I got to ask Pam some questions. AMBRIDGE — Here’s a story sure to raise eyebrows. It’s the story of a trendy, highly specialized beauty salon in a 183-year-old building. The place is Everyday Esthetics, where women — and a few men — go to get their brows shaped and sheared. That’s most of the salon’s business, eyebrows. No hair, nails or facials, just eyebrows. OK, owner-stylist Pam Jeschonek does wedding makeup, too, but typically it’s an eyebrow emergency or periodic brow upkeep that keeps choosy clients coming back to her red-brick, 19th century building that began as a home for Harmonist Society members who occupied what is now historic Old Economy Village, across the street. Voted best eyebrow shaping in PITTSBURGH MAGAZINE'S Best of Pittsburgh Readers' Poll, Everyday Esthetics(412/716-4825; everydayesthetics.com) makeup and eyebrow studio offers Brow Couture - a subtle, artistic reshaping of the face, taking into account the client's bone structure, facial shape, feature size and overall facial symmetry. Adding symmetry and balance to the face adds beauty, according to owner Pamela Jeschonek, "great brows are the perfect accessory. They go with everything and are forever in style." 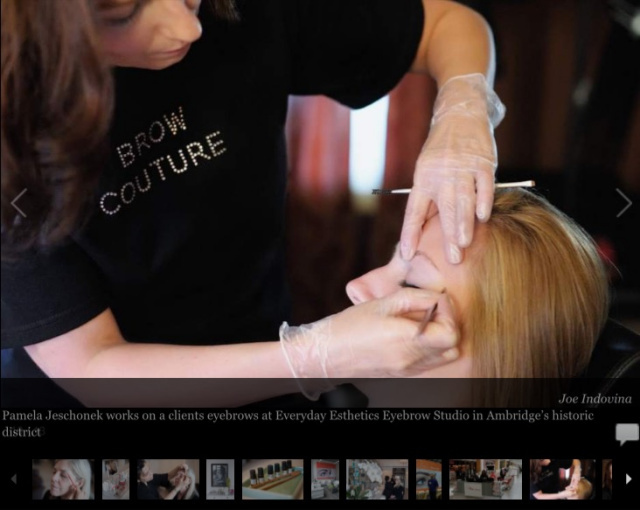 More than just a waxing, Brow Couture is unlike any other eyebrow service. Jeschonek is considered to be one of the best eyebrow designers in the professional beauty industry and has trained with Damone Roberts, "Eyebrow King" and former star of TLC's 10 Years Younger. -D.M. Highlight your best assets with glosses that aim to improve more than just your lips, with products at Everyday Esthetics Makeup and Eyebrow Studio: Dr. Kiss Satin Finish Lip Balm “is phenomenal,” says business owner Pamela Jeschonek. “It is truly the best lip balm because of its healing properties.” THINgloss, a new product from Express Effects, contains Kola nut and hoodia to help you curb cravings. Feeling a 3 p.m. trip to the vending machine? Slick on THINgloss and kiss those cravings good-bye. Plus, catch Everyday Esthetics at the annual Mensa gathering this month, July 2, where Jeschonek, a Mensa member, will present “Brains and Beauty,” a presentation on how smart women can find the best make-up palette for themselves. “Yes you can be smart and you can wear lip gloss too,” she says. Dr. Kiss Satin Finish Lip Balm, $12; THINgloss, $28. Find the products online at browcouture.com. 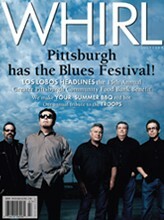 412.716.4825. - C.C.